Gem Diamonds has reported its sales performance for the fourth quarter of 2018 and the full year 2018, saying that “the demand and prices for Letšeng’s large high-quality white rough diamonds have remained firm”. One of the highlights of the report is the 10% rise year-on-year in the average price per carat achieved in 2018. Gem Diamonds raked in $2,131 per carat in 2018, compared with $1,930 per carat in 2017. 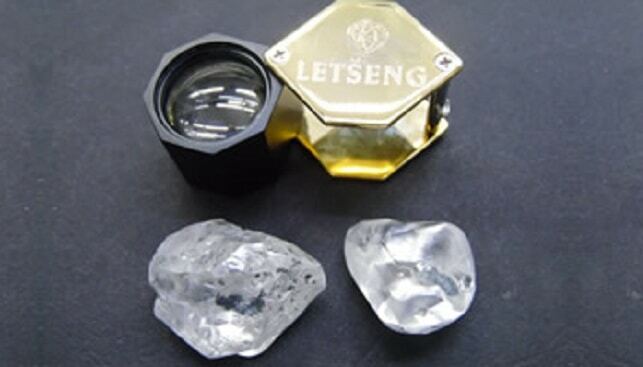 The miner recovered 15 diamonds bigger than 100 carats from its Letšeng mine in Lesotho – a record for the company. 44 diamonds were sold for more than $1 million each in 2018, and the total revenue for the year totaled $137.2 million. As for the fourth quarter, carats recovered were up 13% year-on-year to 126,875 carats. It sold 33,140 carats during the period – up 9% from Q3 2018. The miner sold nine diamonds for more than $1 million each in the fourth quarter, generating revenue of $14.6 million during the period.